Described as a “federation of border and security agencies”, the home affairs minister – set to be the current immigration minister, Peter Dutton – will be responsible for ASIO, the AFP, Border Force, the Australian Criminal Intelligence Commission, the Australian Transaction Reports and Analysis Centre, and the Office of Transport Authority. 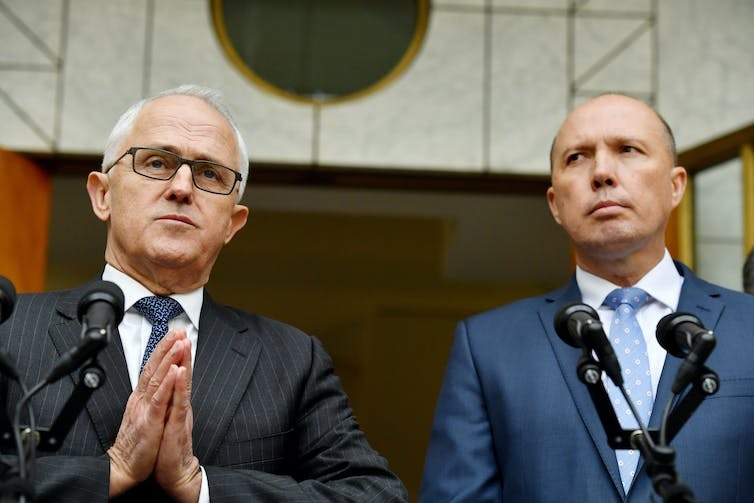 Announcing the changes on Tuesday, Prime Minister Malcolm Turnbull did not speak about the intelligence review – undertaken by former senior public servants Michael L’Estrange and Stephen Merchant – in great detail. 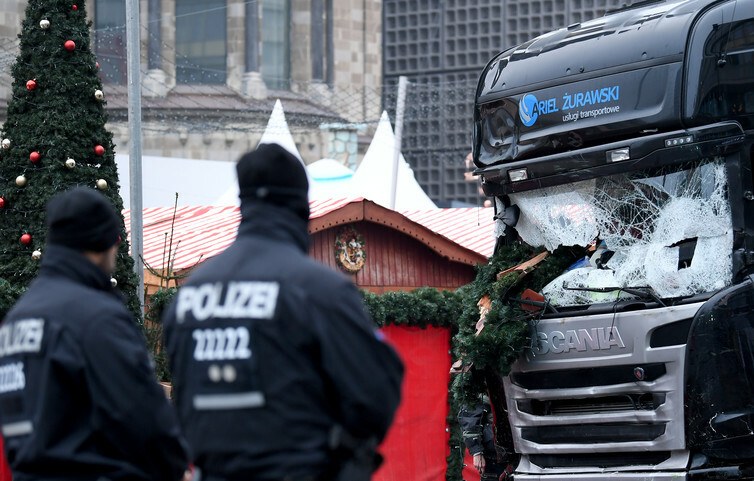 A juggernaut ploughed into a crowded Christmas market in Berlin city centre on the evening of December 19, killing at least 12 people and injuring at least 48. Minister of the interior Thomas de Maizière said that it was a deliberate attack. The Berlin police have urged caution until more about the incident is known, but this has done little to dampen speculation about the perpetrator, nor to prevent an unseemly scramble in some quarters to gain political capital from this tragedy. This high-profile attack in the festive period looks certain to polarise an already strained political debate between German liberals of the left and centre, and populists on the right, piling pressure on Chancellor Angela Merkel’s leadership at a sensitive time in the electoral calendar. On the other hand, it may help to strengthen bonds between governments and nations at the European level as they work together to enhance security co-operation. At home, internal security looks set to be a campaign issue in federal elections in September 2017. At the same time, 58% of Germans currently believe refugee policy is the biggest challenge the country faces. In light of this, Merkel is well aware that she needs to challenge an association, promoted by the populist right, between internal security and refugees: an association that insidiously asserts the inherent criminality of foreigners. This narrative shows signs of taking root in public debate. The recent murder of a young student in Freiburg, apparently by an Afghan asylum-seeker, prompted such widespread outrage that the authorities had to speak out against the scapegoating of migrants. In the last year, Merkel has proved adept at acknowledging the fears of the public over security while at the same time underlining her humanitarian approach to refugee policy. In her first response to the Berlin attack, the chancellor stated that if the perpetrator turned out to be a refugee, it would be dreadful for the many Germans who are involved in helping refugees on a daily basis “and for the many people who really need our protection and are making an effort to integrate into our country”. Her traditional New Year’s Eve address to the country will give her another opportunity to drive this message home. But will it be enough? Whoever turns out to be responsible for the Berlin attack, the political damage is done. Frauke Petry, the outspoken leader of the right-wing populist Alternative für Deutschland (Alternative for Germany) has already pointed to the government’s refugee policy as being partly responsible for the atrocity. She claimed it has negligently and systematically imported a milieu in which such acts can thrive and that “Germany is no longer safe”. Provocative as these claims are, they have been matched by voices from within Merkel’s own party, the Christian Democratic Union (CDU/CSU). The Berlin attack has already shattered recent attempts to heal the intra-party rift over immigration that could threaten to derail party unity in next year’s election campaign. Klaus Bouillon, CDU chair of the standing committee of interior ministers from the federal Länder (regions), was quick to claim that Germany found itself in a “state of war” – even though “some people, who only ever see the good, won’t like to admit this”. Noting that copycat attacks would be likely, Bouillon called for upgraded security measures and for the police to be heavily armed. Problems at home – but promise for Europe? Before the Berlin attack, Merkel might have been able to prevent the refugee issue from dominating the election agenda by making a feature of other public concerns (albeit less pressing), such as pensions and care for the elderly. Now, the field is open for the right to make capital from criticisms that Merkel is too involved in her role as international statesman. They are likely to step up critiques that she is losing touch with domestic problems, that her policies are tired and that she is running out of ideas. Perversely, at the European level, the Berlin attack might offer an incentive to heal fractious relations between member states and to consolidate the co-operation that already exists on internal security and counter-terror operations. Following the UK’s June referendum result and Theresa May’s rhetoric of a “hard Brexit”, the UK’s standing within the EU is at an all-time low. 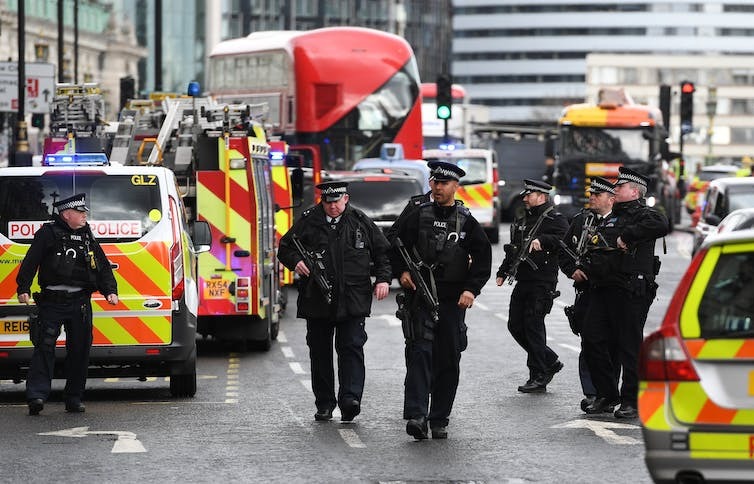 However, it is widely recognised that no other European member state has as much experience and expertise in counter-terrorism. Constructive co-operation with Germany in a concerted effort to keep Europeans safe may help a little to stabilise relations between EU partners in the testing times to come. Cabinet minister Josh Frydenberg has accused Australia’s Grand Mufti, Ibrahim Abu Mohamed, of seeking to “cover up” his failure of leadership in the wake of the Paris attacks, and said Australians have to understand the “sheer nature” of the Islamic State (IS) threat. Frydenberg said it was necessary to acknowledge that religion was part of the problem. Those who preached hate in the mosques had to be disrupted, and “we have to focus on integration as opposed to segregation in the schools,” he said. The Grand Mufti said the incidents highlighted that current strategies to deal with the threat of terrorism were not working and therefore “all causative factors” must be comprehensively addressed. These included “racism, Islamophobia, curtailing freedoms through securitisation, duplicitous foreign policies and military intervention”. Prime Minister Malcolm Turnbull was careful in his comments and welcomed the clarification. But Frydenberg, in tough comments on Sky, said: “The Grand Mufti failed in his leadership with his statement. He sought to cover that up subsequently, but it was a graphic failure. “And he has more of a responsibility, not only to the Muslim community, but to the community at large, because all our security is at risk,” he said. Frydenberg justified his allegation that the grand mufti was guilty of an attempted “cover up” by saying his first reaction “was his instinctive reaction”. He would not be drawn on whether the grand mufti should resign. “That’s a question for the Mufti and for the Islamic community”. The vast majority of the Islamic community appreciated the significance of this extremist threat and wanted to see the end of it, Frydenberg said. Saying this was a problem within Islam, Frydenberg said extremists were a minority – “but it’s a significant minority … and it does pose a challenge to our way of life in Australia”. “As the Australian community, we have to acknowledge the seriousness of this threat, the reasons for it, and try to deal with it in a very considered and, as the prime minister said, calm and strategic way,” he said. Frydenberg was in Paris after the attacks, and spoke emotionally about the experience. Deputy opposition leader Tanya Plibersek, asked about Frydenberg’s comments said it was “important for all members of parliament to be leaders that bring our community together”.